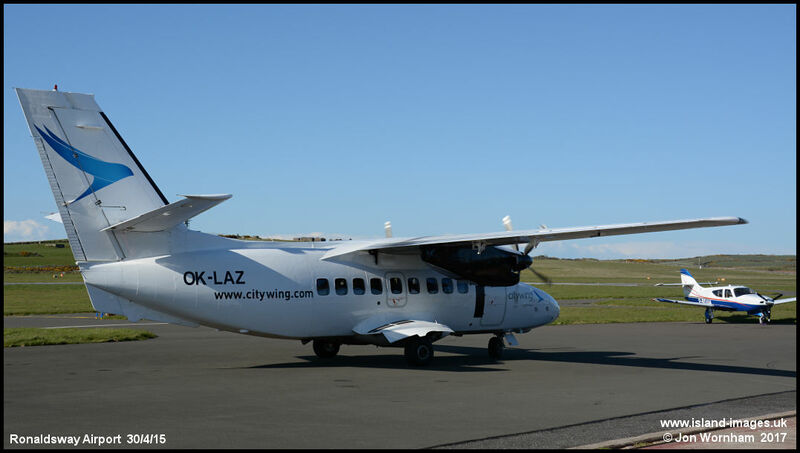 For a while in 2015, Blackpool Airport was unable to security screen passengers and Citywing's Blackpool flights operated from a temporary 'south terminal' at Ronaldsway. OK-LAZ has now acquired titles again! April 2015.